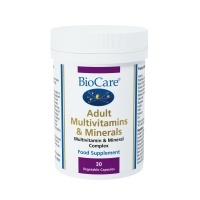 BioCare Adult Multivitamins & Minerals Iron free. 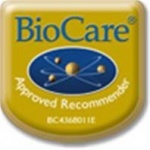 One-a-day health supplement capsule for adults, providing good all round nutritional support. Iron & copper free. 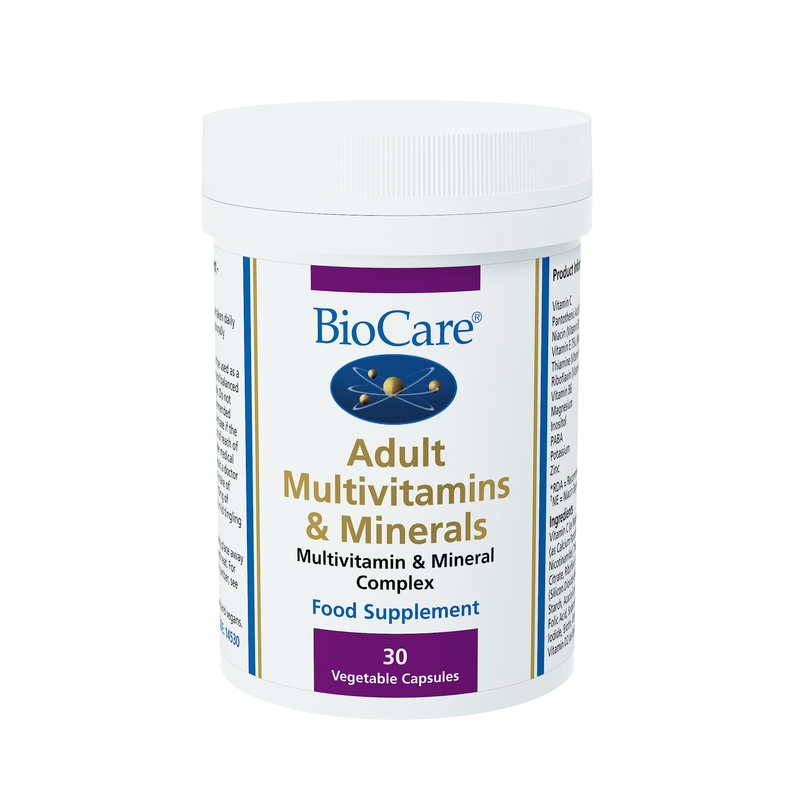 Adult Multivitamins and Minerals is a one-a-day health supplement capsule for adults, providing good all round nutritional support. It contains bio-available minerals for enhanced absorption and is iron and copper free. Vitamin C (as Magnesium Ascorbate), Capsule Shell (Hydroxypropyl Methylcellulose), Pantothenic Acid (as Calcium Pantothenate), Vitamin E (asD-Alpha TocopherylAcetate1), Silicon Dioxide, Niacin (as Nicotinamide), Thiamine (as Thiamine Hydrochloride), Calcium Citrate, Magnesium Citrate, Zinc Citrate, Riboflavin, Vitamin B6, (as Pyridoxal-5-Phosphate), Potassium Citrate, Anti-Caking Agents (Silicon Dioxide & Magnesium Stearate), Inositol, Dicalcium Phosphate, PABA, Modified Tapioca Starch, Acacia Gum, Manganese Citrate, Sunflower Oil, Chromium Picolinate, Sucrose, Corn Starch, Folic Acid, Sodium Molybdate, Vitamin A (as Retinyl Palmitate), L-Selenomethionine, Potassium Iodide, Biotin, Vitamin B12 (as Hydroxycobalamine), Antioxidant (Natural Mixed Tocopherols1),Vitamin D2 (as Ergocalciferol).